The new rules, which are more than a year in the making, are part of the ongoing evolution of Colorado’s pioneering foray into legalizing and regulating the sale of marijuana for medical and recreational purposes. “We’ve seen areas where it’s important for us to focus,” said Michael Hartman, executive director of the Colorado Department of Revenue, which regulates the state’s marijuana industry. The tenets of ensuring public health and public safety include keeping marijuana out of the hands of children, minors and illegal operations, and providing safeguards against the potential harms to consumers. Edibles have come under some of the greatest scrutiny in Colorado’s efforts to regulate the brand new industry. Shortly after legal adult-use sales began in 2014, edibles surged in popularity — catching regulators and industry officials off-guard. It also didn’t take long for red flags to be raised about some public health concerns with edibles such as overconsumption, accidental ingestion, pesticide residues and consistency concerns with the THC content of products — some were found to have widely varying amounts of the psychoactive ingredient that didn’t match the product labeling. This latest step follows suit, ensuring that marijuana doesn’t look like kids’ candy, said Andrew Freedman, Colorado’s former director of marijuana coordination in the early years of legalization. Freedman now serves as a marijuana regulation consultant to municipalities and states. “Obviously, it was a tone we should have struck from Day One,” he said, noting an initial rise in marijuana-related hospitalization, accidental ingestion and poison control calls. Additionally, the images of candy-like marijuana edibles in transparent packaging weren’t good optics for Colorado as the nation watched the state’s attempt to be a responsible manager of marijuana regulations, he said. “That was not a good image to be in our national newspapers,” Freedman said. Although Colorado is subject to some lingering negative perceptions, Freedman said he believes Colorado’s regulations now represent some “commonsense guardrails” for other states and nations to follow. He also lauded the ability of industry members to adapt to shifting regulations. “I was heartened in the edibles arena about how quickly industry understood that it was in the long-term interest of everybody that they got commonsense edibles regulations in place,” Freedman said. The latest regulations are positive developments in efforts to protect public health, said Henny Lasley, executive director of Smart Colorado, a nonprofit focused on children’s safety and parental education in relation to marijuana policy matters. Smart Colorado has advocated against the candy-like shapes of edibles, noting they could be enticing to children. “We do think that these are steps in the right direction that showed collaboration between industry and public health and safety to try to prevent some of the unintended consequences that we saw first occur when we went recreational,” Lasley said. Smart Colorado officials continue their involvement in the ongoing rulemaking process, which includes further tweaks to information on cannabis labels. The potency regulations taking effect Sunday — requiring that potency for medical and recreational marijuana be listed in a bigger font size, circled or highlighted with a bright color — are a first step in developing a broader conversation that “not all marijuana is the same” and helping consumers better understand what is in different products, she said. Most manufacturers have kept well ahead of the curve in adopting the latest edibles regulations, said Jim Bent, operations manager at Emerald Fields, which operates two cannabis retail locations in Colorado. The edibles arriving at Emerald Fields have been shifting away from human, animal, fruit and cartoon forms “for the last year or so,” Bent said. The Colorado Cannabis Chamber of Commerce hoped to set the tone well in advance of Sunday’s implementation of the 2016 legislation and rulemaking efforts, said Dan Anglin, chairman of the business coalition. Before 2017 began, the five-dozen C4 members had adopted standards agreeing to not sell animal- or human-shaped marijuana edibles. It was a move Anglin could see coming down the pike. 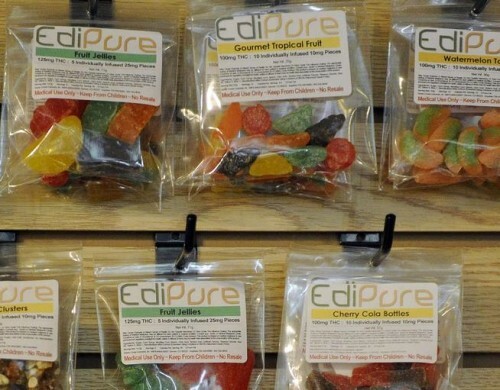 The former head of Edipure left the company known for its candy-like edibles to start edibles business AmeriCanna because he saw an opportunity to make proprietary shapes for the industry. AmeriCanna launched in early 2016 boasting gummies shaped like a pot leaf. The leaf aligned with the ongoing public policy debates about edibles safety, Anglin said. 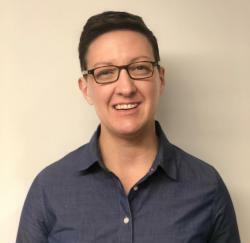 Beyond good business sense, early adoption of regulations could prove beneficial for the health and stability of the industry long-term, said Peggy Moore, CEO of Love’s Oven, a Denver-based seller of cannabis baked goods and concentrates. Love’s Oven implemented the new labeling regulations earlier this year. It’s important, Moore said, for businesses to be incredibly mindful of aspects that could affect public health and public safety. And that’s especially true in a time when the nation’s attorney general, Jeff Sessions, has expressed displeasure with state-run marijuana programs, she said. Better labeling aimed at preventing diversion and cannabis falling into the wrong hands, “hopefully it’s telling a very good story to the people in Colorado as well as other states as they look to legalize,” Moore said.